The last year was my third year as men’s captain and I have to say my proudest year to date! This isn’t just due to the performances of my teammates. I feel over the last year we have shown tremendous strength, unity and commitment which has not only been noticed by most of our members, but by other clubs within the North East. I literally couldn’t be prouder to be sat here as the men’s captain of Wallsend Harriers. 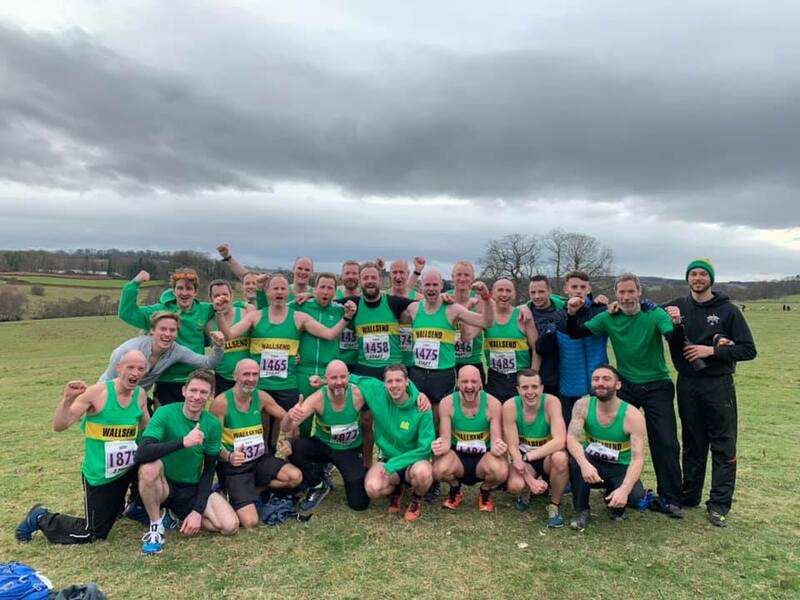 The past year has seen some fantastic team and individual performances that have put Wallsend Harriers firmly back on the map. It really is a huge honour to be associated with these guys not just as their captain, but also as their teammate and friend. We kicked off the year as we normally do with fast and flat Brass Monkey. Famous for its PBs it duly obliged with Matt Darbyshire, Alastair Willis and Paul McAleer obliterating their previous best and getting their sub 80s and sub 90s respectively. February historically is the month of the ever popular Hetton Lyons Relays. Our first men’s team sneaked a top 10 spot with our vets coming in 12th. As we have done for the last couple of years now, we turned up in our numbers with 22 men all in all representing the club…. even Paddy ran! At the time of writing my speech this time last year we didn’t know if we had done enough to secure our top-flight Harrier League status having just been promoted the season before. Well as you all know we did, and we did the same this season too. The more recent survival success was probably my proudest day with this club. The buzz and team spirit were just something else! Other clubs could feel it! Other clubs could hear it! They were talking about it……they were talking about Wallsend Harriers! Back to last spring, there were some solid performances that paved the way for the year to come. From 5ks to the marathon up and down the country our men were starting to reap the rewards of a tough winter’s training. Andy Graham travelled to Cheshire to run his fastest ever 5k and finally break the 16-minute barrier running in 15:54 while Alistair Willis literally ran himself into the ground at the Rotterdam Marathon with a 3:07 PB and a wheelchair exit. 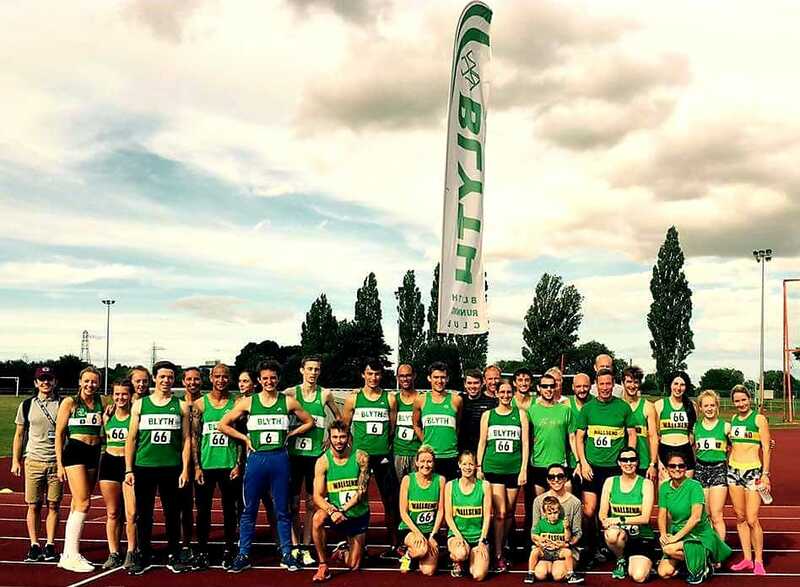 As we embarked on the summer Track & Field League we faced a daunting task as the previous season’s championship winning campaign had us pitching our abilities against historically strong track and field opposition in Gateshead, Morpeth and Tynedale. Nobody would have predicted the outcome of our season’s efforts and final league standing finishing second overall. A massive squad effort along with our friends at Blyth. A huge thank you to Paddy for all his enthusiasm and organisation in getting us all out to represent and perform. The 2018 Club Championship was a fascinating affair. Andy Graham, Tim Nic and I took up the running for the first half of the race with seconds covering the three of us. Kev Wilson sitting in behind made his move at the beginning of the second lap which instantly broke up the pack. I was the first to find his move too hot with Andy and Tim taking him on. Andy Graham ended up powering home to take the title for the first time with Kev second and Tim Nic third. July and August were top months for PBs. Jordan Middlemist smashed his previous best at the Sunderland 5k clocking 15:47. Andy Graham, Jordan Middlemist and Sam Charlton headed to Leeds in search of 1500m glory. A season best for Andy with PBs for both Jordan and young Sam, who broke the 4-minute barrier for the first time. The PBs didn’t stop there…….at the Quayside 5k, Kevin Wilson, Denver Strestesky, Dave Diston, Adam Hamilton, Andy Wigmore and Keith O’Donnell all crossed the line with new PBs in what must be one of the key 5k’s to aim towards every year. Sam Charlton won the Junior Great North Run during September in great style. Seeing this young man at the top of the podium was something that would become a common occurrence over the coming months. October saw Kev Wilson carry his form onto longer distances with running a 57:48 at the historic Brampton to Carlisle Road Race. Our marathon duo (even though we aren’t a marathon club!) Joe Colligan and Keith O’Donnell delivered more PBs with a brilliant 3:04 and 3:13 respectively. Dave Diston and Adam Hamilton picked up further PBs at the Heaton Memorial 10k in November. Dave finally running in 37 minutes and Adam taking four minutes off his previous best and only seconds away from that sub 40. Down in Leeds and now a Vet 35, Andy Graham showed age was just a number by running 33:22, four years on from his previous best! 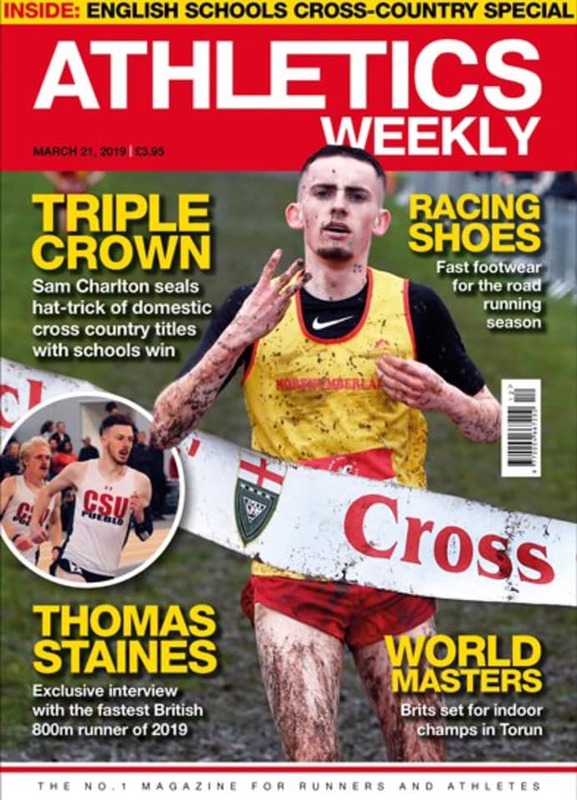 At the North-Eastern Cross-Country Championship in December it was the beginning of what would be a historic run of victories in the career of our very own Sam Charlton. After the North Easterns he headed for the Northern title. Once that was in the bag it was Nationals time. Also known as “Bus Gate”! I think all those that witnessed Sam winning the National title and the first male Wallsend Harrier to do so, will cherish that moment forever. I’ve never felt prouder in my life! I was so happy we got to share in his amazing achievement. It really was something else! If we had a bus to go home on, I would have happily left right then. Sam’s name now shares the national title with one of the greats, Sir Mo Farah! After the National title came the Inter County Championship title, which was followed only last weekend by the English Schools Championship. A five timer by one of our very own and something that may never ever be repeated! It’s been such a privilege over the last few years to train alongside Sam. Not only is he a special athlete, he is genuinely one of the most gracious, well-mannered and supportive individuals I have ever had the honour to know, and a massive credit to his parents. I think I speak for everyone here at the club in acknowledging that Paddy Dinsmore’s guidance, coaching and influence have been pivotal to Sam’s success. I was delighted to see him credited as his coach recently by British Athletics. We are lucky to call them both our teammates. The passing of Robbie Livermore was a devastating loss to us all. Not only have we lost a great athlete, but also a great teammate and friend. Our thoughts will always be with Karen, Callum and Briony. Robbie’s personality was infectious. Just the thought of seeing his face made me smile because I knew within seconds, he would have me laughing no matter what. Being from a footballing background he loved the team events and would always drop me a message starting “alreeet baaawwwllddy!”, to say he was there if he was needed, which he normally was. He ran his final race for us a year ago last month at the Hetton Lyon’s relays. It’s great to see Karen and Callum back with us on training nights. I hope Robbie is proud of what we and especially Sam have achieved over the last year. We’ll keep giving it our all for you mukka! As you can probably tell being men’s captain is a huge honour for me. The atmosphere and team sprit we currently have is the best I’ve ever experienced. We’ve grown in numbers but that hasn’t taken away our closeness. You guys make my job as a captain easy and for that I thank you! If I have the backing of my fellow athletes and teammates again, I would love to continue my role as men’s captain.